November 12th, 2013 (Sarasota, Fl)—Digital Frontiers Media (DFM) announces the launch of the new iPhone and Android application for Z88.3 in Orlando, Florida. The new application is a combination of 3 brands, including Contemporary Christian Z88.3, Hot 95.9 Positive Hip-hop & R&B, and 106.3 The Rock. Features include up-to-date weather and traffic information. This is the first radio app on the market to support push notification alerts in case of weather emergencies. 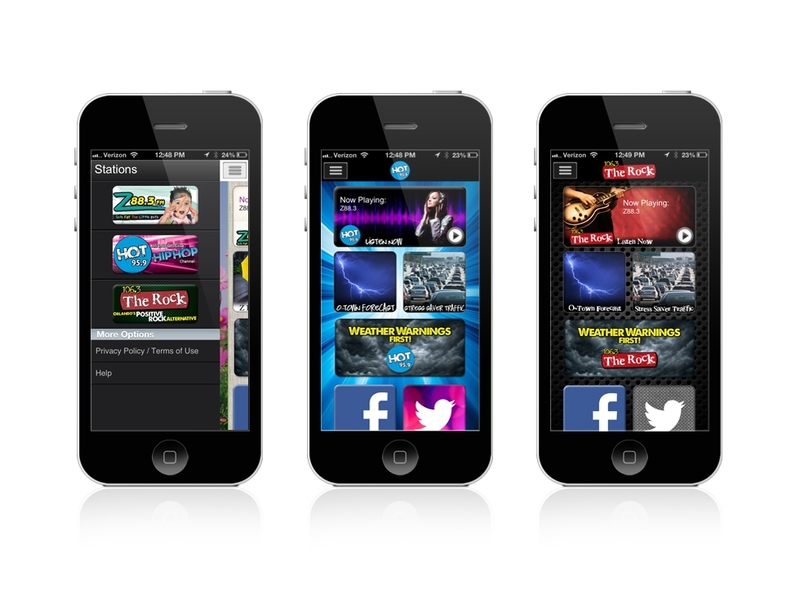 “The new Z88.3 app is an example of exactly what radio needs. A completely custom radio app uniquely developed to the station’s brand. Z88.3 is the #1 station in Orlando highly because of their commitment to the community and being first responders on weather and traffic. We were honored to have had the opportunity to work alongside the extremely talented Z radio staff.” Says Chris Laney, Director of Communications for Digital Frontiers Media. The Z88.3 app is now available and can be downloaded here for iOS and here for Android.